The selection of former Attorney General (AG) and Minister of Justice, Martin A.B.K. 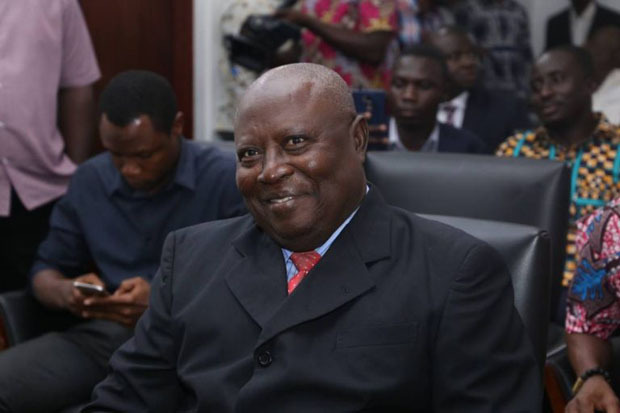 Amidu, by President Nana Addo Dankwa Akufo-Addo as the Special Prosecutor is causing uneasy calm in the opposition National Democratic Congress (NDC). Subject to parliamentary approval, Mr. Amidu – a member of the NDC, who is credited for his anti-corruption exploits that has earned him the accolade Citizen Vigilante – will become Ghana’s first Special Prosecutor – a position created by Nana Akufo-Addo and his New Patriotic Party (NPP) to prosecute suspected corrupt public officials (both past and present). There have been mixed reactions following President Akufo-Addo’s announcement Thursday evening, but elements in the opposition party appear to be jittery. They are arguing that Mr Amidu, who is one of the pioneers of the NDC, might target them unnecessarily, especially those who served during the tenure of President John Mahama, and claimed he could let those in the NPP government off the hook. Even some elements in the ruling NPP are reportedly not happy with the president’s appointment because they fear Mr. Amidu might ‘turn’ around and chase them. NDC National Organizer Kofi Adams set the tone immediately President Akufo-Addo mentioned Mr. Amidu’s name when he (Adams) said the former AG could not objectively execute the mandate of the Office of the Special Prosecutor. According to him, Mr Amidu, had on a number of occasions refused to consider himself as a member of the NDC, adding that the experienced lawyer disrespected the party when he failed to appear before its (party’s) disciplinary committee over some comments attributed to him. “We have made it very clear that he is not independent; he is a bitter person and he is there to witch-hunt NDC members,” Mr Kofi Adams insisted. He, however, disagreed with Kofi Adams that Mr. Amidu is no longer a member of the NDC, saying that although the former AG is facing disciplinary charges from the party, he is still a card-bearing member. In a statement signed and issued by Kobina Andoh Amoakwa, in-charge of the Communications Directorate of the former president’s office, Mr. Rawlings was quoted as expressing his optimism that parliament would approve Mr. Amidu’s appointment because he is the right person for the job. Brig. Gen. Joseph Nunoo-Mensah (Rtd), former National Security Advisor to the late President J.E.A. Mills, said Mr. Amidu’s selection by the president is a ‘smart’ move. “It is a very smart move by the president to appoint Martin Amidu, who is a known NDC man. If it was a man who had NPP sympathy, one would have thought that he will have NPP leanings towards people who will be incriminated. But if you appoint a man like Martin Amidu, who is a very strict person as far as the law is concerned, it is a very smart move on the part the president. He is one of the finest people I have worked with and I know he will pursue justice, whatever the case is,” he underscored. Justice Francis Emile Short, former boss of the Commission on Human Rights and Administration Justice (CHRAJ), noted on Citi FM that the former Attorney General’s appointment was ‘prudent,’ pointing out that it demonstrated the president’s commitment to fighting corruption. Executive Director of the Institute for Democratic Governance (IDEG), Dr Emmanuel Akwetey, has called on the NDC to celebrate Mr. Amidu rather than demonize him. “It is good for the party to rather celebrate that they have a person that they made, that they shaped. He stood against them on principle and it’s good that their opponent, who is in power now, has seen that quality and wants to put it to greater use of the country. I think that is commendable,” he articulated. Private legal practitioner Moses Fo-Amoaning said Mr Amidu is going to be ‘ruthless’ in the fight against corruption and that Ghana will be the ultimate beneficiary.